How do I setup Process Lasso for maximum performance? This article provides some guidance, specifically for home and workstation users. Server users should try this page. 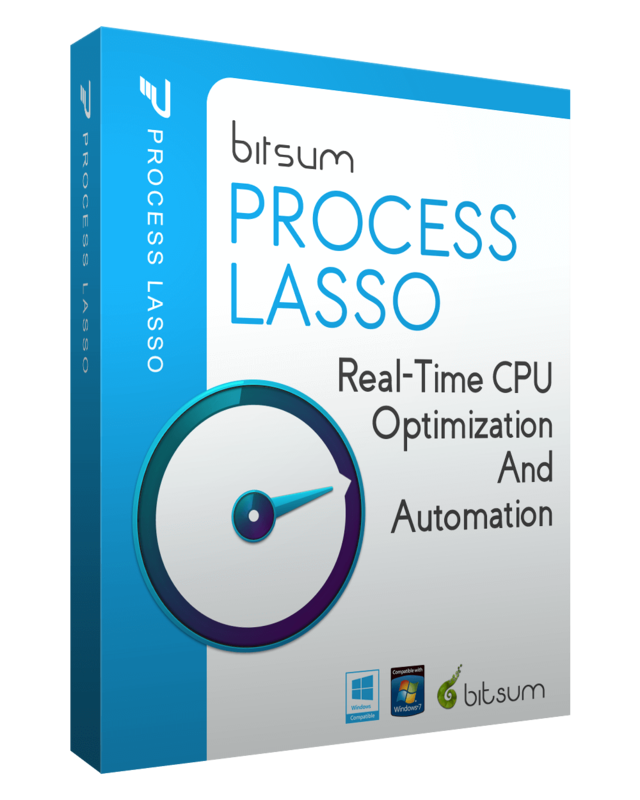 Process Lasso can be simply installed without additional tweaking or tuning. ProBalance works automatically to help maintain responsiveness in the face of high CPU loads. Configure Performance Mode. Identify your most critical applications by right-clicking them and selecting ‘Induce Performance Mode‘. Don’t over-do it. You want to classify only your most important applications in this way. Don’t over-tweak! Ignore all the plethora of advanced functions unless you know what they do and need them. There is no magic trick to Process Lasso configuration. Install it and the amazingly efficacious ProBalance algorithm will work immediately to improve system responsiveness during high loads. It is rare that users need to even exclude processes from ProBalance action because it is 1.) very conservative and 2.) doesn’t normally slow processes it acts on unless there is a great deal of CPU contention at the time. However, if you do need to exclude a process, first make sure it was acted on – check the log or Insights. If it wasn’t, or isn’t ever, acted on – then there is no use in excluding it. If it is acted on during times you find inappropriate, then right-click on that process and exclude it from ProBalance action. Next you may wonder about power profile automation. This is fairly straight-forward. You can use the ‘Performance Mode’ by classifying processes as performance oriented again in the right-click process context menu. This will cause Bitsum Highest Performance power plan to be induced. That power plan is simply a clone of the system’s High Performance power plan with core parking and CPU frequency scaling disabled. Alternatively, you can use the application power plans to induce the desired power plan when a particular application is running, or IdleSaver to drop you down to a more conservative power plan when you go idle. One caveat of the power plans is that newer ultrabooks are coming with locked down power subsystems. This is an area of active research. While we can bypass this locked down state, the system usually reverts when an update is pushed down from Microsoft. Users are, now, given a little more control over custom power plans than they were, but still third-party applications are neutered when it comes to creation of custom power plans. The rationale is not clear, perhaps better battery life or thermal emissions, maybe even an eco-green concern. In any event, if you find yourself only having a single power plan, or missing the Bitsum Highest Performance power plan, then this is what has occurred. In such a case, rely on customizing the existing power plans. You can find instructions on how to unhide core parking and CPU frequency scaling in the advanced power plan options on the ParkControl page (or within the utility itself). Again, these changes may or may not take and are subject to reversion. As for more advanced process rules and persistent settings, my guidance is to not mess with them unless you know what you are doing or have a particular need. Haphazardly adjusting process priority classes, CPU affinities, and other settings is more likely to degrade performance than improve it. These settings must be adjusted carefully. If there were any single adjustment that was universally efficacious, we’d apply that throughout, but there just isn’t (ProBalance does the best that can be done). I hope this short primer helps to get new users started, or inform existing users! Comments and questions welcome below.